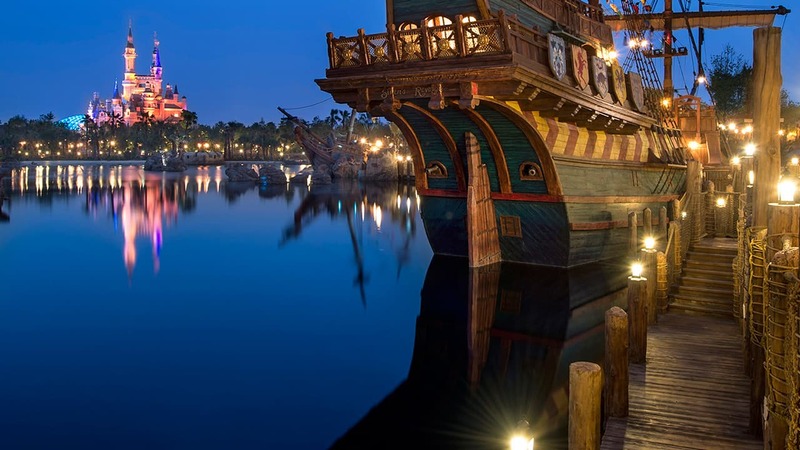 If you thought you were seeing double yesterday at the Magic Kingdom, think again. 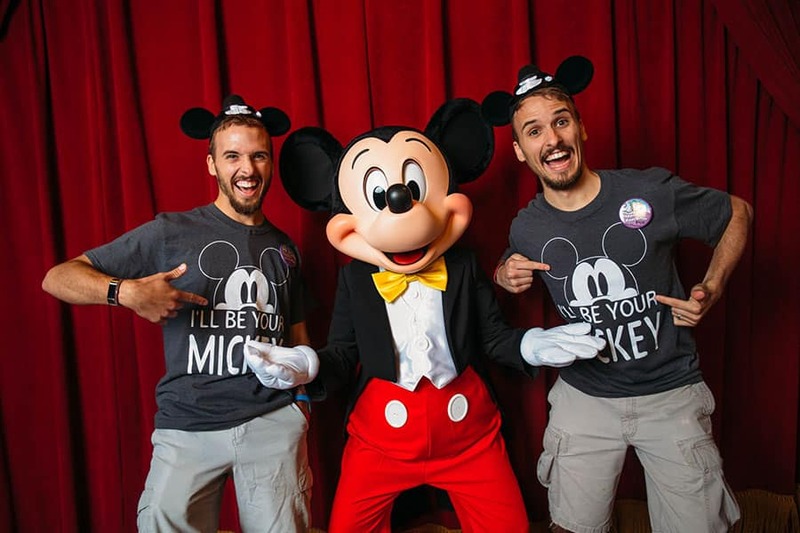 Identical twin couples from Michigan spent their honeymoon week with a stay at Walt Disney World Resort. These two sets of identical twins do things in twos. They had their first date together and became engaged at the same time. And on Aug. 3, Zack Lewan married Krissie Bevier; and the very next day, Zack’s identical twin brother married Krissie’s identical twin sister, Kassie. 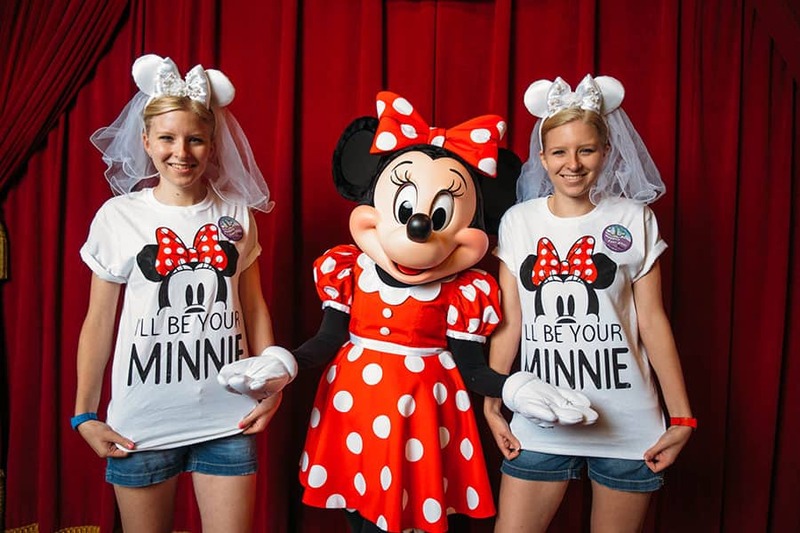 After sharing a reception in Michigan they traveled to Walt Disney World Resort to honeymoon at the top-rated honeymoon destination. 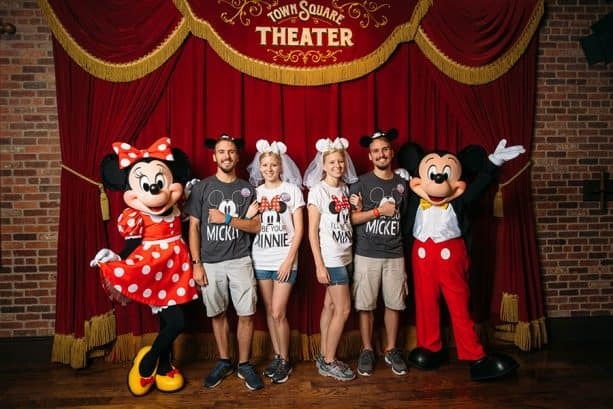 The newlyweds donned bride and groom mouse ears and matching shirts and had a fun day exploring the Magic Kingdom. 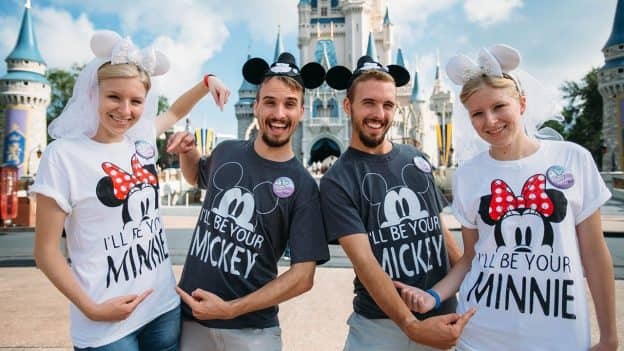 It was the first-ever visit to Disney for the Lewan brothers and the gals were thrilled to show them all around the Vacation Kingdom. 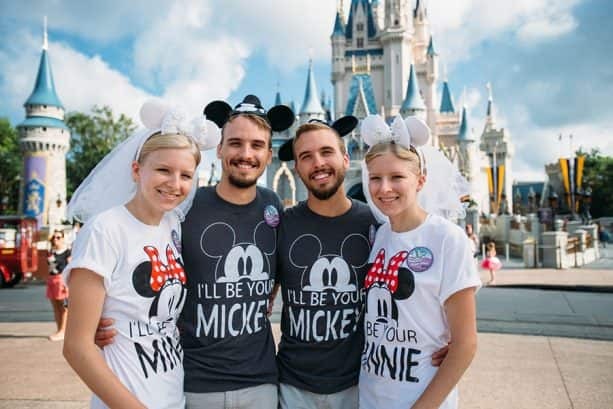 Throughout their stay they also checked out Pandora – The World of Avatar, Kilimanjaro Safaris and Disney Springs, but said the highlight was a meet and greet and congratulations by Mickey Mouse and Minnie Mouse. Take a look as we captured their two love story. Best Wishes to the Happy Bride and Groom! very cute, congrats to all four of them!